A global vote by readers of smarttravelasia.com has placed Maldives and Phuket in Thailand as second best Asian holiday destination. Bali in Indonesia stands first and Kerala as the third best. Kerala is followed by Hong Kong (4th), Bangkok and Hoi An (5th), Boracay, Goa and Langkawi (6th), Chiang Mai and Palawan (7th), Angkor, Shanghai and Tokyo (8th), Dubai and Koh Samui (9th) and Penang and Rajasthan (10th). This was revealed in the 2009 best in Travel Poll by Smart Travel Asia – the region’s only dedicated online travel magazine which puts the spotlight on ‘inspirational’ brands and travel trends. Voters polled in 12 categories including Asia’s best business hotels, luxury resorts, spas, destinations, business cities, shopping spots, and the world’s best airlines and airports. The poll was conducted through May-July this year. Despite poor tourist arrival rates throughout 2009, statistics by the Department of Immigration and Emigration shows that August 2009 shows an increase. The statistics shows that 52,388 tourists visited Maldives in August 2009, while 51,824 tourists arrived in August 2008, registering a 1.1% increase. However, for the period from January to August 2009, a reduction of tourist arrivals by 8.8% was registered compared to the same period last year. During January and August 2009, 415,433 tourists arrived while 455,423 tourists arrived during the same period last year. 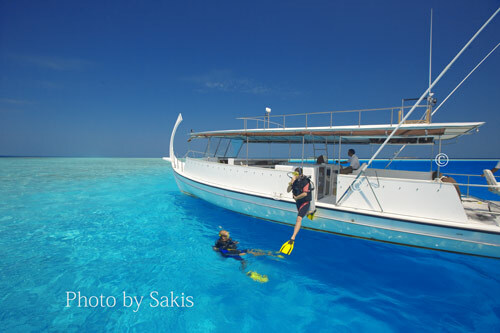 From the Asian region 12,085 tourists visited Maldives during August 2009. Chinese arrivals have shown the biggest increase from the region. During August 2009, 6197 Chinese tourists visited Maldives, registering an 80.1% increase. In addition to the China, tourist arrivals from American region had also increased during August 2009, registering an 11.5% increase. During the August 2009, tourists had spent 426,063 nights in the Maldives marking a 5.9% reduction. At the end of August 2009 of the 96 resort’s registered 20,614 beds, 85 resorts had operated 19,428 beds. Occupancy rates for August 2009 were at 66.9% and tourists had spent 8.8 nights in the Maldives.